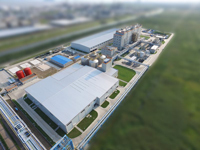 US integrated nylon maker Invista plans to add 40,000 tonnes of nylon 6.6 polymer capacity at its current 150,000-tonne polymer plant at the Shanghai Chemical Industry Park (SCIP). Construction is targeted for mid-2019 and production would begin in 2020. Invista also has a 215,000-tonne hexamethylenediamine (HMD) plant at SCIP. Meanwhile, in other news, Japan’s Mitsubishi Chemical Corporation (MCC) plans to establish a new production site for performance polymers in Chengdu, Sichuan Province, China, and start production of PVC slush powder, which is suitable for automotive interior panel skins and other parts, in the spring of 2019. The automotive market of performance polymers in China has shown a steady expansion, and expectations are especially high for the future growth in demand for PVC compounds including PVC slush powder, which have design capabilities and texture, for use in automotive interiors. MCC says it aims to meet this robust demand by establishing a new performance polymer production site, through a newly-established subsidiary in Chengdu, in west-central China, where automotive parts production sites have clustered in recent years. The company also plans to look into production of items for the food, medical care, and optical fields, which, like performance polymers, are expected to see significant growth in the future. MCC adds it will continue to enhance its performance polymers business through diversifying its application portfolio and accelerating business development in growth markets.